Buffing and polishing requires a lot of effort and elbow grease. The range of FLEX Power Tools from Detail Central makes getting an immaculate finish is easier than ever before. We are proud to stock this internationally renowned brand and bring Australians the world’s best. FLEX is famous for quality, which is based on their almost 100 years of manufacturing history. Since 1922, FLEX has been at the cutting edge of grinding, polishing and surfacing technology. They’ve built an impeccable reputation for precision products that work as hard as you need them to. Plus, all the accessories and spare you’ll need to keep your FLEX tool working perfectly. We stock kits that include all you’ll need to get started making your vehicle gleam from front to back. Using a power tool polisher is significantly more effective polishing by hand. Sure, you can do a great job with the right pads and products, but even the fastest, most committed finish enthusiast can’t compete with the spinning speed of FLEX Power Tools. For example, one of our most popular polishers, the PE 14-2 150 Rotary Polisher can spin up to 2100 revolutions per minute (RPM). That’s some serious speed. How fast can you go by hand? 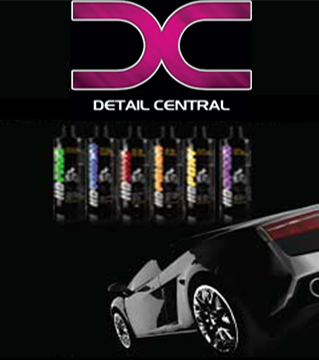 Detail Central is your one-stop-shop for cleaning, polishing and giving your vehicle the right care. Regardless of whether you have a car, boat or motorcycle that you want to look after, we can help We stock a complete range of soaps, waxes and polishes, sponges, pads and applicators, power tools, degreasers, sealants, and more. We stand behind everything we sell and only stock products we know can do the job. Our online store is simple to use and convenient, with delivery to anywhere Australia. Best of all, regardless of what you buy, you’ll never pay more than $20 to have it sent straight to your doorstep! If you would like more information on our range of products, please get in touch today. Whether you want further details about our FLEX Power Tools or something else in our product catalogue, we can answer any questions you may have. We are dedicated to customer satisfaction and a major part of our approach is comprehensive service and support. Pick up the phone and call us today on 0458 966 399 or use our online contact form and we will get back to you as soon as we can. You can also visit our showroom at Carrum Downs in Melbourne and take a look at the range on offer for yourself.